Brand new lessons in Mathseeds teach children about 3D objects, place value, time, subtraction and money through fun online math games and activities. Mathseeds, a popular online math program for children aged 3-6 years, has recently expanded with five new math lessons. 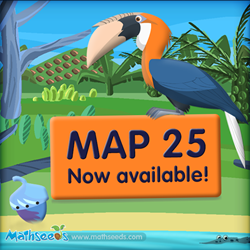 Map 25 includes brand new online math games and activities for kids, teaching key concepts related to 3D objects, place value, time, subtraction and money. The breakthrough program now contains 125 lessons, including hundreds of interactive activities, songs, colorful animations, and collectable rewards for early math learners. The Mathseeds program is developed by the same team of educational publishers behind the multi-award winning online reading program, Reading Eggs. The program is designed to teach children essential early math and problem solving skills to prepare them for their early years of school. Map 25 is set in New Guinea, where children earn collectible pet rewards that are native to New Guinea’s rich biodiversity. Each Mathseeds map is set in a different location with a unique set of pets, with previous map locations set in China, the Nepal Jungle, the Deep Sea, and the Antarctic. At the end of each map, children complete a multiple-choice quiz, and are later awarded a printable certificate. Parents can also access a dashboard to track their child’s progress and download reports. Mathseeds is compatible with PC, Mac, and iPad and Android devices. For more information on compatibility, please visit http://www.mathseeds.com/about/faqs/. New users can access a free trial of Mathseeds by registering at http://www.mathseeds.com/. More information is available at http://www.mathseeds.com/ or by emailing info(at)mathseeds(dot)com.